Public Speaking – a new career? This past Saturday morning I spoke at a meeting of our local chapter of the American Association of University Women (AAUW). And as usual, after all my stressing about it and worry that I would totally mess up, my talk went very well. I was â€œon stageâ€ for forty-five minutes speaking about my writing background, local organizations that provide mental illness and suicide prevention help, how I used writing to get me through the grief of losing a son to suicide, and how I created my memoir, Leaving the Hall Light On from my journals, poetry manuscript, and writing workshop pieces. I also read two prose pieces and two poems from the book. I never thought I could hold forth for so long. In fact, when the program chairperson called to set up my presentation we decided to give the group a writing exercise if I didnâ€™t have enough to say in the time I was allotted. Although I had my cheat sheets in front of me and just needed to glance down on them from time to time to make sure I was keeping my place, I really talked off the cuff the entire time. Even at the outset when someone asked about Sandy Banksâ€™ article about a suicide in the Los Angeles Times that morning, and the motherâ€™s feeling of guilt afterward, I was ready. I had read the article and had cut it out to bring along. I commented on the article and how the subject related to me, and I passed the article around the room. 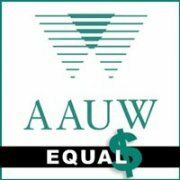 I ended up with many kudos from the powers that be in the AAUW group. One even said it was the most moving presentation theyâ€™ve ever had. What a great compliment. They also asked me to join the group. So all the stressing was worth it. But I do need to look into why I go through this every time I need to speak in front of a group. Itâ€™s not that Iâ€™m new to public speaking. I spoke and taught classes many times while I worked full time, and even now Iâ€™ve presented many times about my book. And I was very prepared. I wrote out a script, I knew which prose parts and poems from the book I would read, and I brought along several things for show and tell. Even if I hadnâ€™t remembered any of the points I wanted to make, I could have read the whole thing. What I keep forgetting is that Iâ€™m an expert on my topic. I could talk for hours about it. After all I wrote a whole book about it. By the way, we still went ahead with the writing exercise â€“ it just cut our questions and answers time a little short. And, I was delighted that this group of women so readily participated and were so willing to share their writing with the group. Our topic was â€œyour most devastating school experience.â€ Most of the women wrote about something that happened to them in Kindergarten. And since this was a group of senior women, the experience must have been very devastating if they still remembered it. What would you write on that topic?